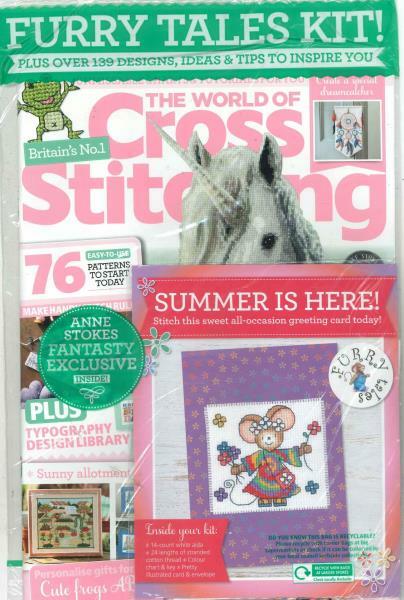 The World of Cross Stitching is THE cross stitch magazine to inspire every stitcher, whatever your level of expertise. Every issue is packed with the very best cross stitch designs, expert advice and in-depth technical features, as well as product news, reader letters and stories, competitions and giveaways. Make sure you don't miss out - subscribe today! i love this mag, is't my favourite. I love this mag, it gives me a lot of ideas and inspiration, it's great! Have had a subscription for this previously so knew what I would get out of it. A great mag with great ideas, free gifts and advice.